There is growing concern among global net users about fake news online, according to a BBC World Service poll. It also indicates mounting opposition to governments stepping in with regulation. In the survey of 18 countries, 79% of respondents said they worried about what was fake and what was real on the internet. But in only two countries, China and the UK, did a majority want their governments to regulate the internet. The BBC carried out a similar survey in 2010. Only 15 countries were covered by both polls. From this subset of respondents, 58% said the internet should never be regulated in the latest survey, up from 51% when the same question was asked seven years ago. When it came to regulation, 67% of Chinese respondents now liked the idea, while opinion was more finely balanced in the UK, with 53% in favour. The countries where people were most hostile to regulation were Greece with 84% and Nigeria, where 82% of people opposed the idea. The survey of more than 16,000 adults was conducted by Globescan between January and April. Concerns about what is real and what is not on the internet have mounted after a year in which the term fake news has become both commonplace and profitable, with false stories shared on Facebook earning their creators hefty sums through advertising. Brazilians were most worried about the hazy line between the real and the fake, with 92% reporting some concern. In a number of other developing countries there was a high level of unease, with figures of 90% in Indonesia, 88% in Nigeria and 85% in Kenya. Germany was the only nation surveyed where a narrow majority - 51% - said they were not worried about this issue. In the run-up to the country's election there have been determined efforts in Germany to root out fake news. 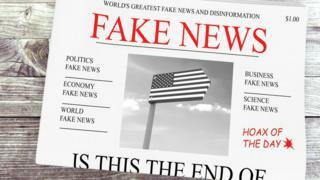 Globescan's chairman Doug Miller said: "These poll findings suggest that the era of 'fake news' may be as significant in reducing the credibility of on-line information as Edward Snowden's 2013 National Security Agency (NSA) surveillance revelations were in reducing people's comfort in expressing their opinions online." In Nigeria, Peru and China there were big majorities confident about expressing opinions, but in Europe and North America there was far more anxiety, with the French and the Greeks least likely to want to speak freely. As global use of the internet grows, there also appears to be mounting enthusiasm for it to be seen as something to which everyone should be entitled. 53% of those questioned agreed that access to the internet should be a fundamental right, with much bigger majorities agreeing in Brazil, Greece and India. And women were somewhat less likely than men to feel safe expressing their views online. That anxiety was most pronounced in developed countries. In France just 14% felt safe, whereas in the UK the figure was 36%, and in the USA 35%.